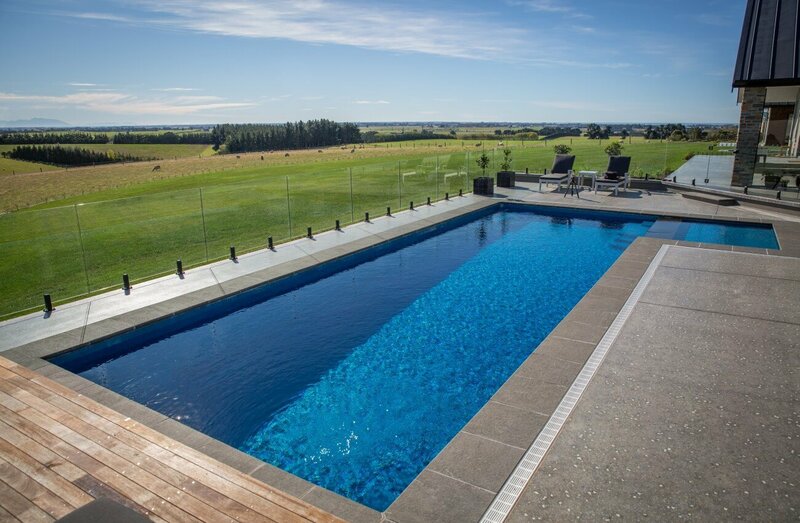 This popular fibreglass pool is ideal to maximise the effectiveness of any pool workout. 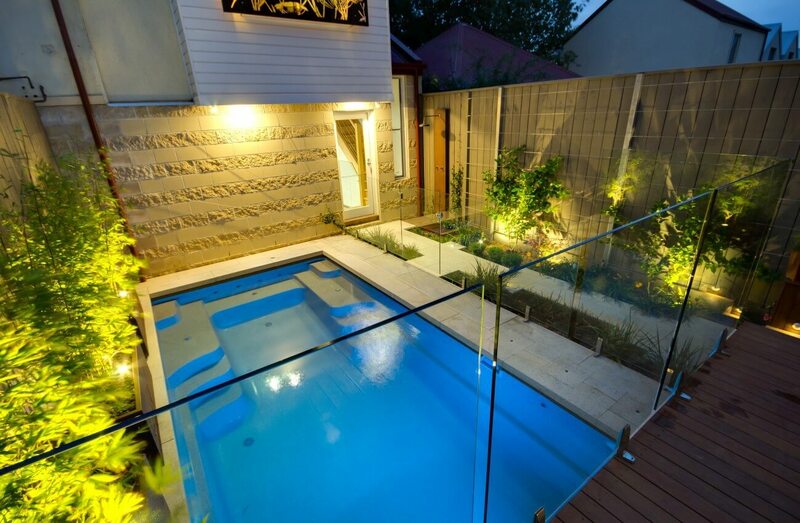 It also comes in slimline version for people who have a narrow backyard. The number one choice for thousands of Australian families. 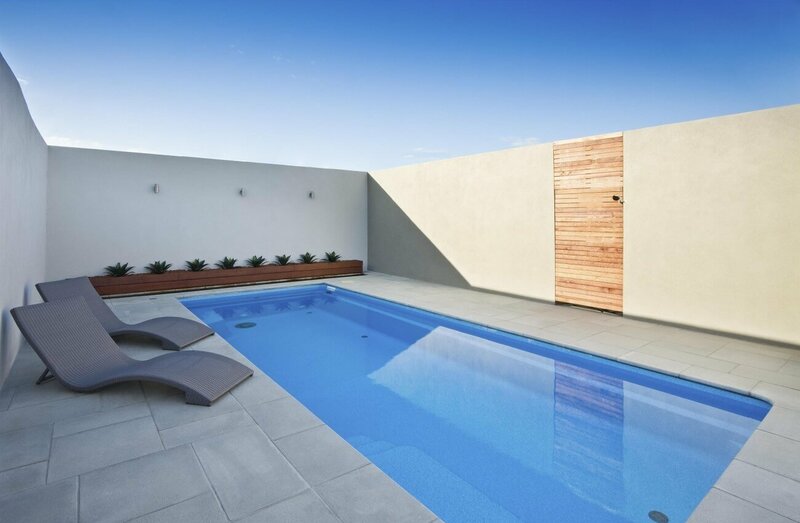 The contemporary pool design makes this pool a perfect centrepiece for your landscaped entertaining area. Do not give up on pool ownership. 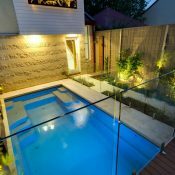 Our small swimming pools fit well in today’s compact, narrow blocks, providing a great balance between aesthetics and usefulness. 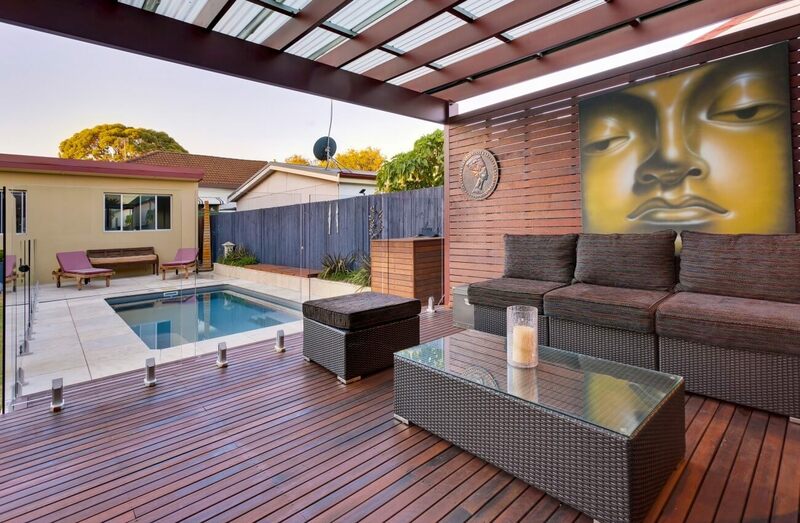 This pool is ideally suited for narrow blocks and those wanting to enjoy swimming in their very own pool. Thanks to Compass technology, it can be made up to 30 m long. 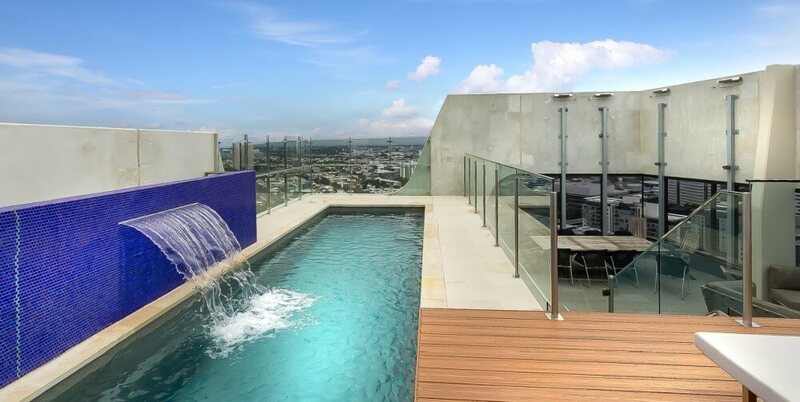 There’s a Contemporary to suit every backyard. 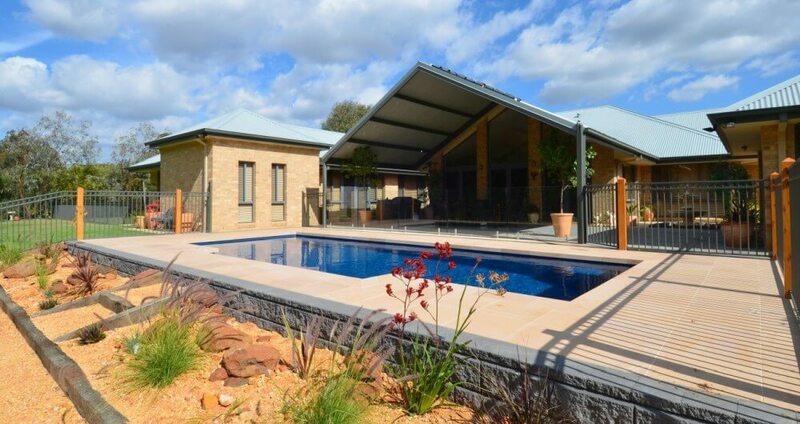 Deep in the centre and shallow at both ends – these fibreglass swimming pools are perfect for family entertainment. 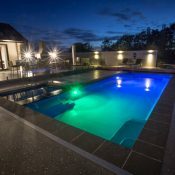 ideal for a family that loves both swimming and entertainment, with entry steps and safety ledge the Riviera family swimming pools are safe for children and adults alike. 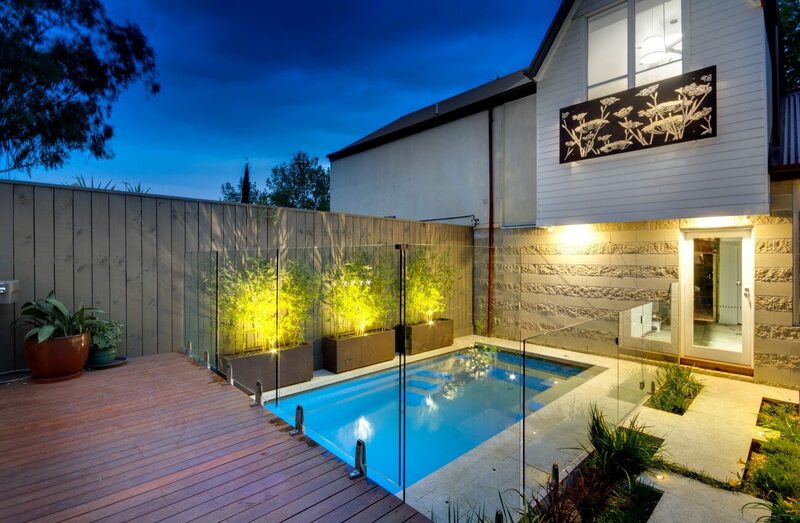 A Spa or Wader will transform every backyard. 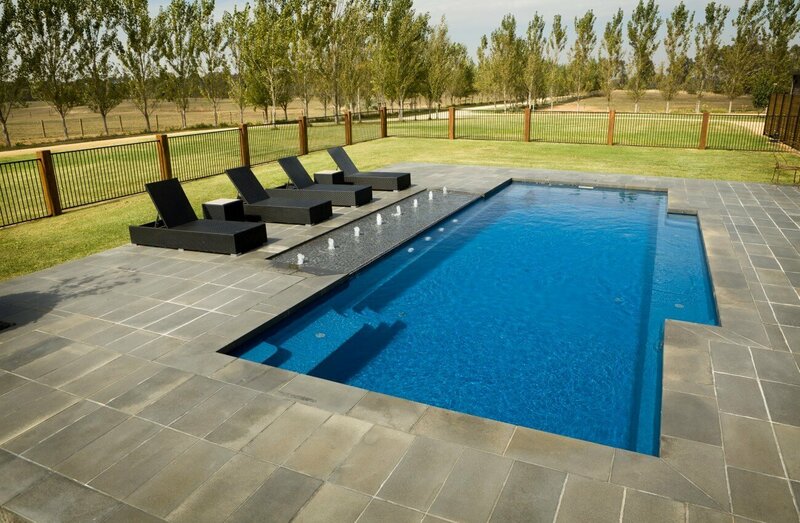 Change the shape and function of your swimming pool by adding a spa or wader to complement your pools' shape. 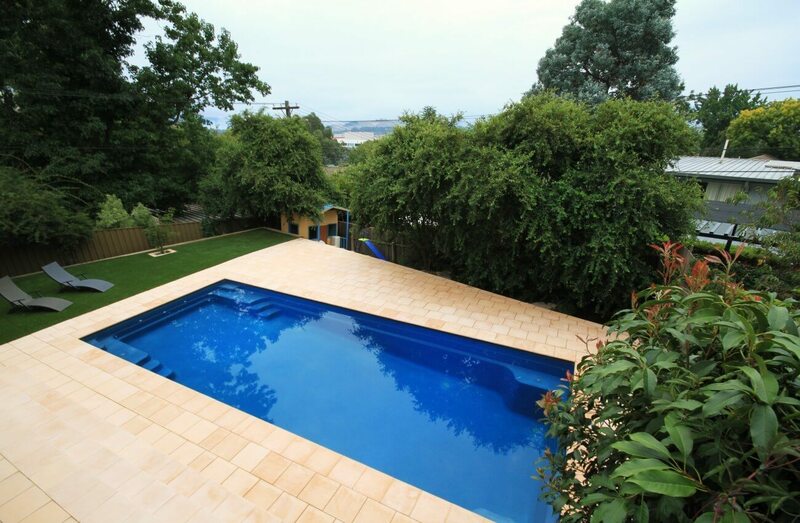 Building fibreglass swimming pools in the greater Nowra region since 2004. 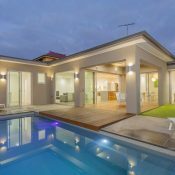 If you are thinking of having a swimming pool built around South Coast region of New South Wales, you’ve come to the right spot. 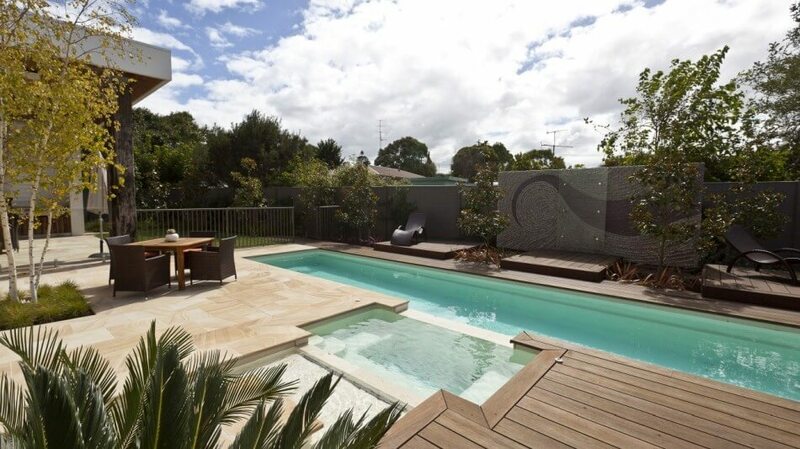 We sell high quality Compass fibreglass pools that look stunning and last long. 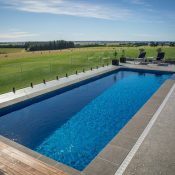 We install Compass fibreglass pools of the highest quality and durability thanks to the unique ceramic core. 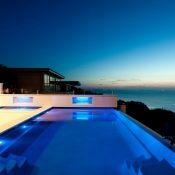 You will be overwhelmed with the choice of beautiful vivid and stunning bi-luminite colours. 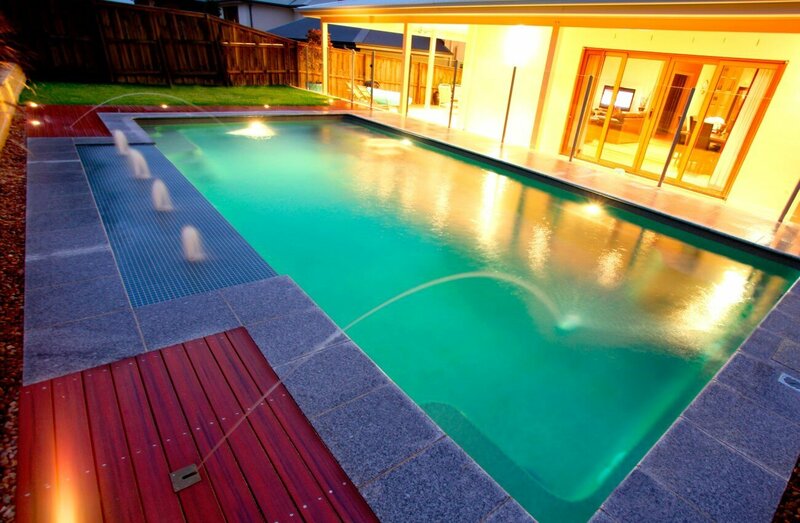 Save time and money and decide for a swimming pool that cleans itself. 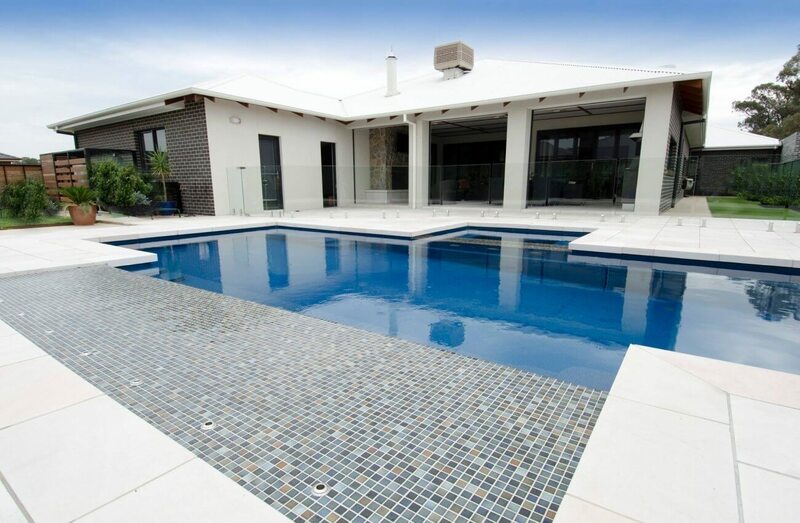 No more need to clean your new swimming pool manually. Lifetime structural warranty, 10 years enhanced cosmetic warranty and lifetime warranty against hydrostatic damage. 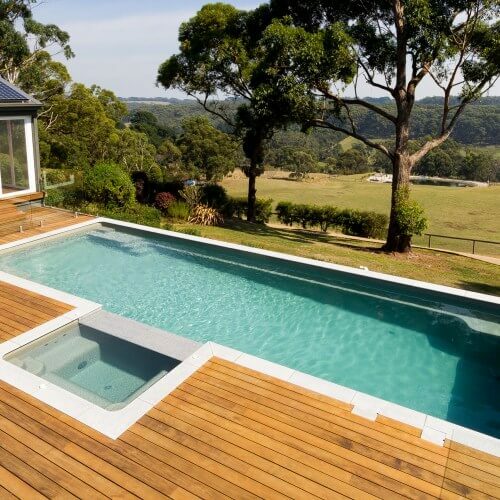 We can build inground pools as well as pools partially or completely above the ground. 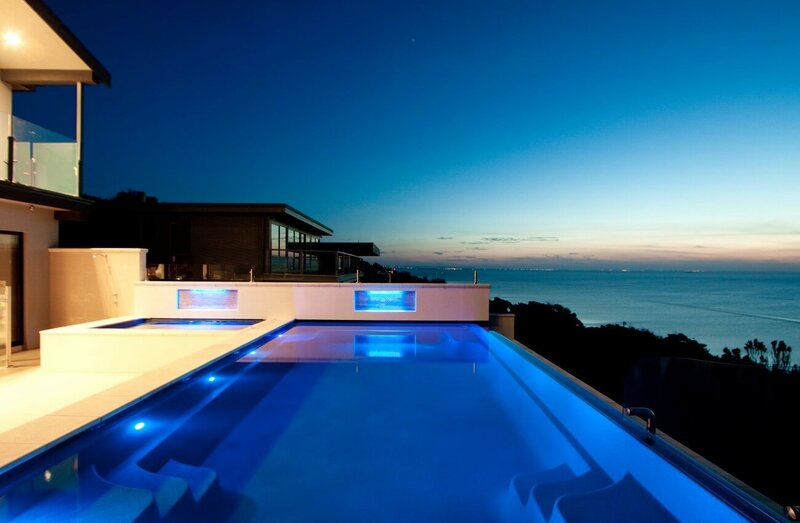 We will guide you from the beginning to the very end of your new swimming pool project. With Compass Pools, you can be sure you get the best pool technologies available in the market. 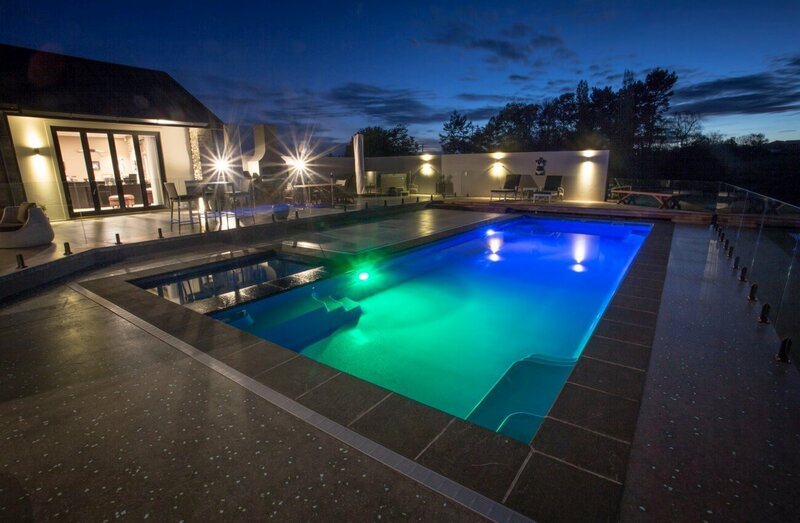 Bi-luminite colour system uses a dual-layer approach to create amazing 3D effects in the pool water. The patented Ceramic Core Technology improves the structural integrity of a Compass fibreglass pool for a superior durability. Our unique water circulation system takes care of cleaning the water from debris and reduces usage of chemicals. 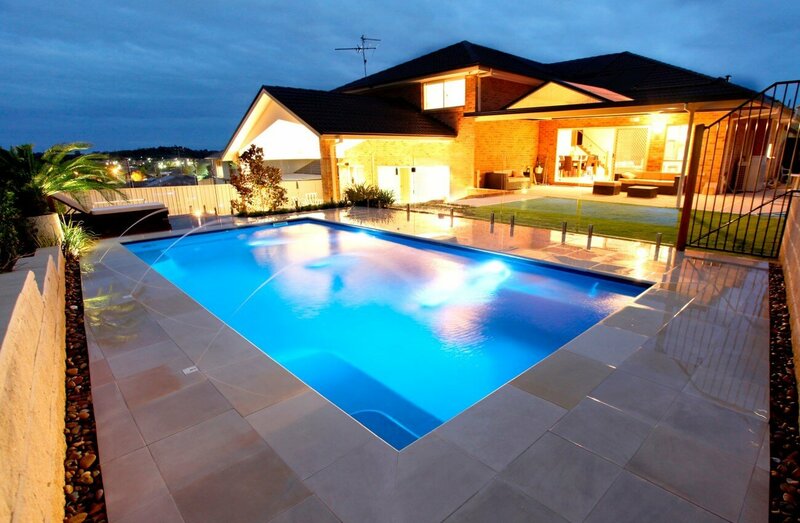 Our pools come with industry leading warranties protecting your investment. Learn more about the tripple guarantee now. 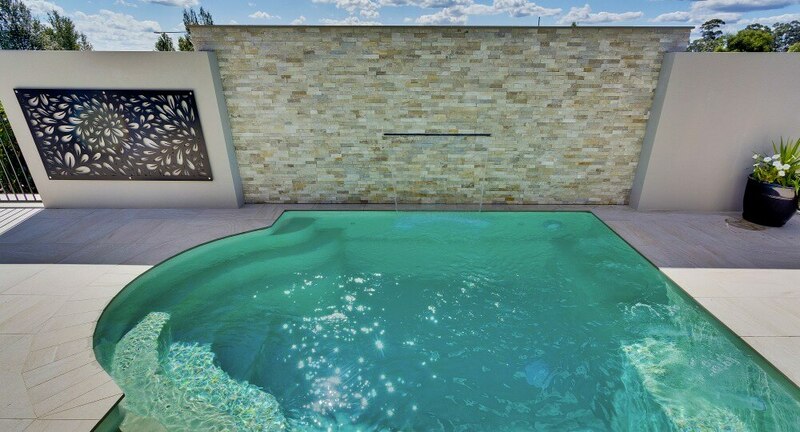 Thanks to our improved HydroPro Valve, your swimming pool will be protected against hydrostatic events. 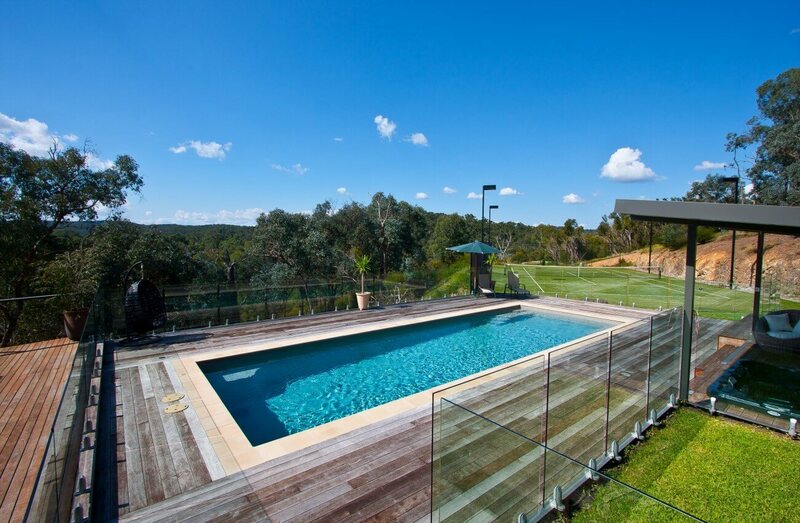 We can build you a fibreglass pool on a sloping site and thus, make it partially or even completely above-ground. 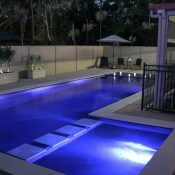 Select from Bi-luminite colours, creating a special 3D effect in the pool water, and Vivid colours – popular and vibrant pool colours. 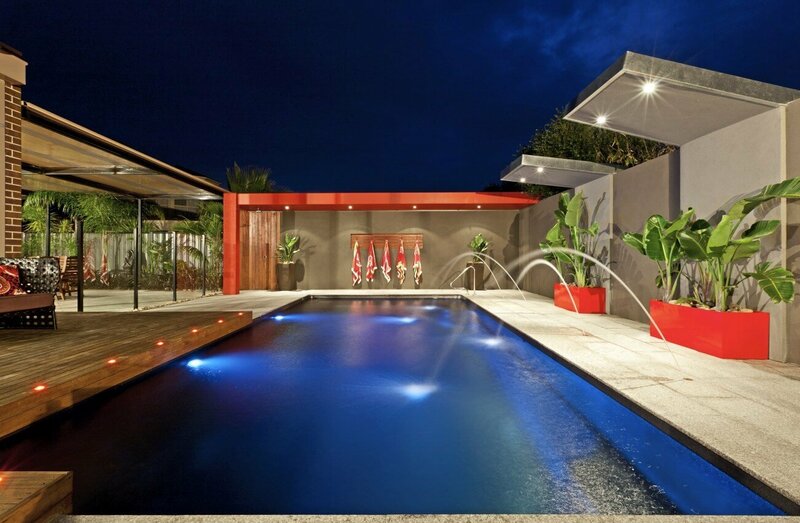 Choosing the right colour for your new pool is one of the toughest decisions to be made. 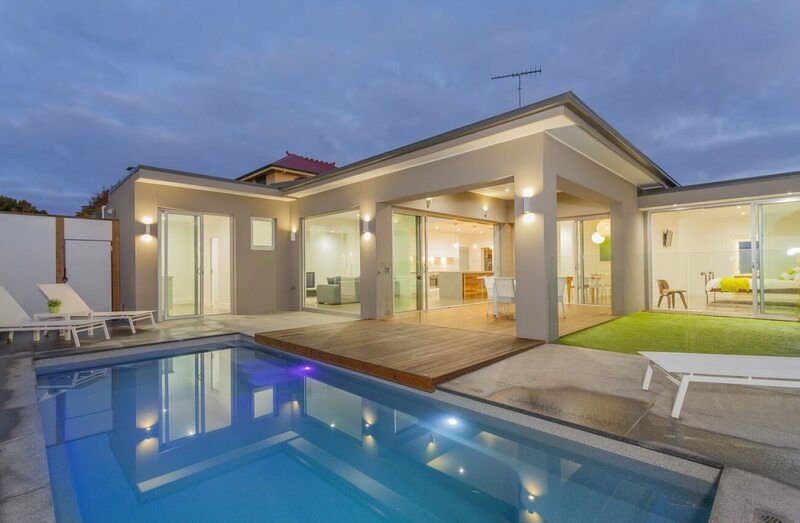 Learn more about our colours and see how they look in a pool filled in with water by clicking the button below. 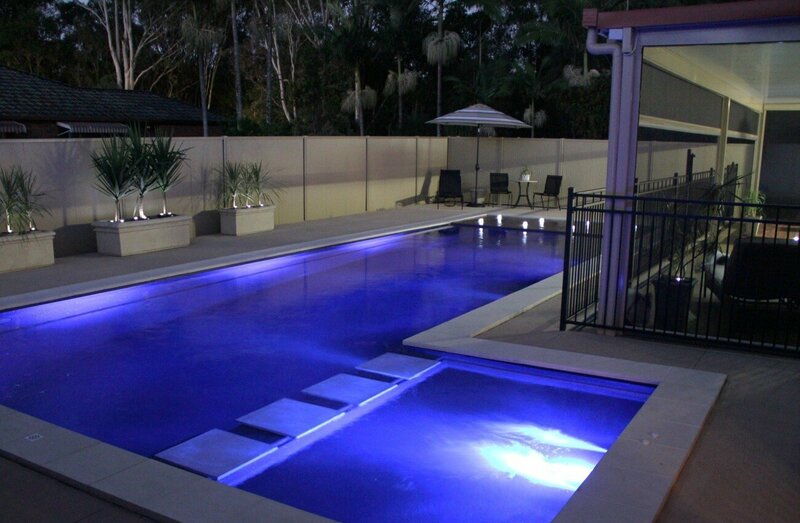 To learn more about our vivid colours and see how they look in a pool filled in with water, click the button below. 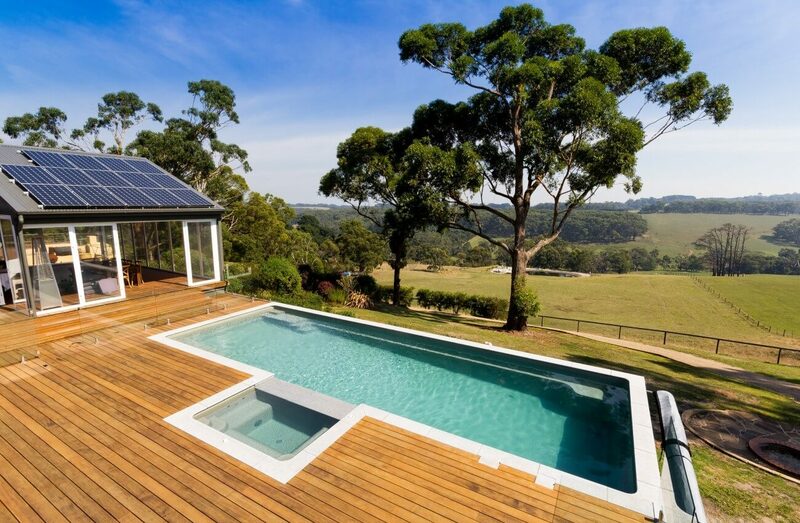 Get inspiration for your new pool project and landscaping! 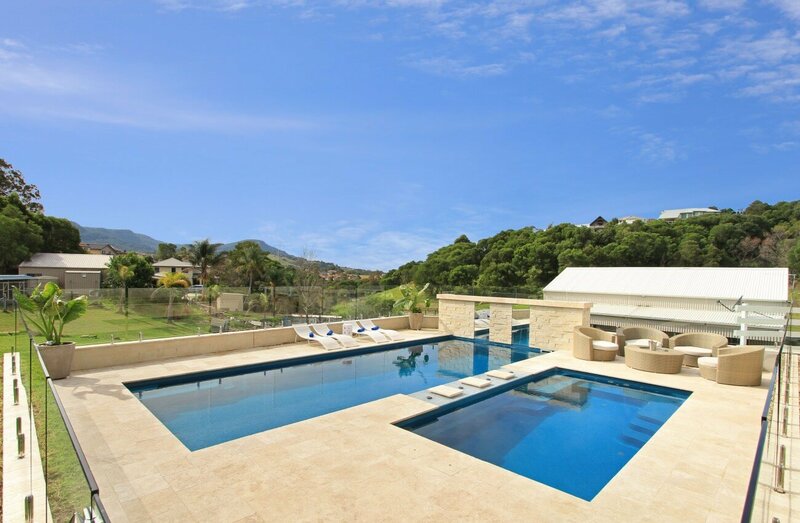 Explore some of the accomplished swimming pool projects. 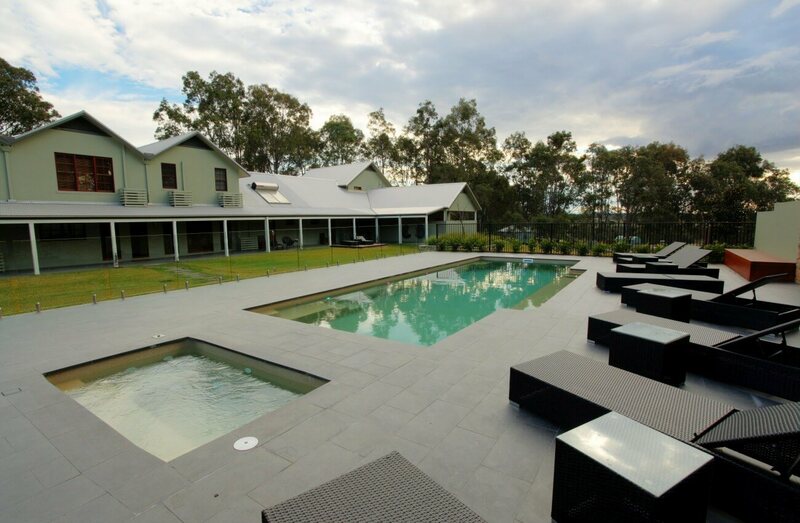 Being based in Nowra, NSW, we have installed many fibreglass pools in Nowra and its surroundings. 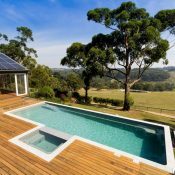 Looking for a pool builder in Kangaroo Valley, NSW? 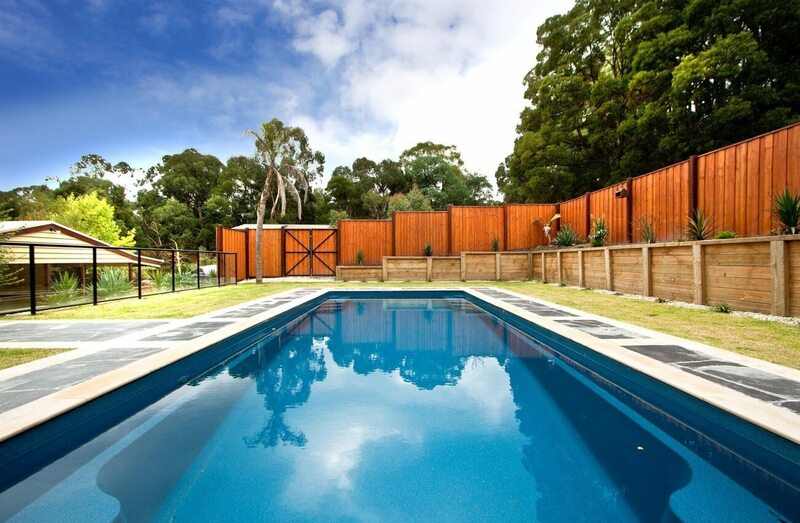 Look no further, we’ll install your new fibreglass pool here. 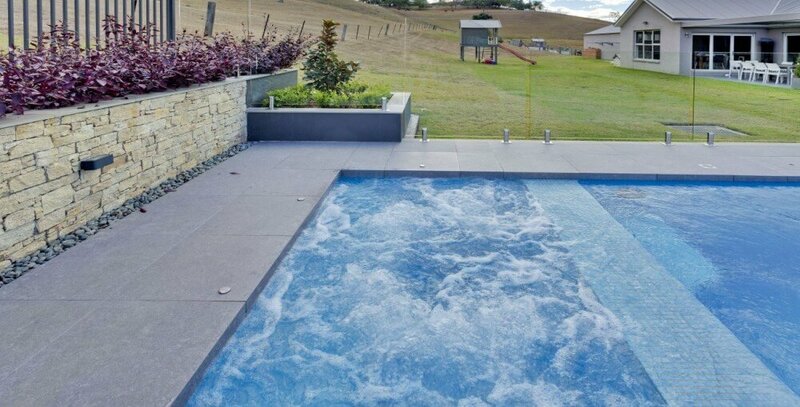 Yes, we are installing fibreglass pools in Ulladulla, NSW. Please proceed to the contact form to make an enquiry. 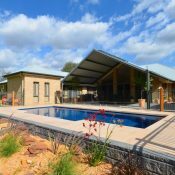 We are your authorised Compass Pools pool builder for Falls Creek, NSW. Please get in touch with us. 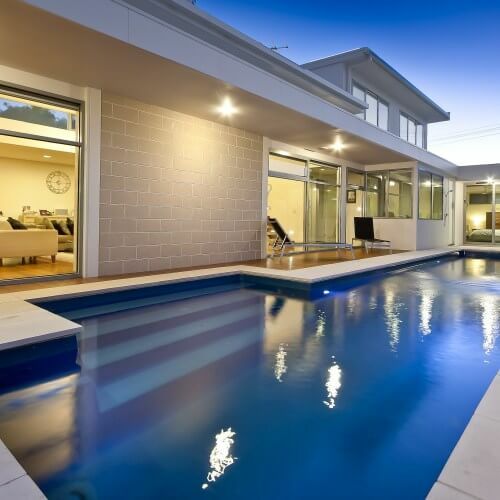 Let as help you with our carefully selected tips for the future and also current pool owners. 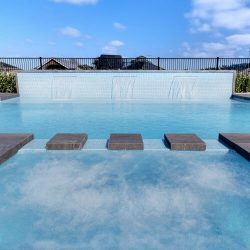 People think of ways that can keep the overall cost of the pool installation project as low as possible. Thus, they end up searching the internet for DIY swimming pools and begin the task themselves. 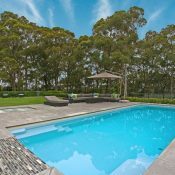 A private outdoor pool is more than just a fun place to swim and relax; it is also an essential part of living to help avoid the excessive Australian summer heat. 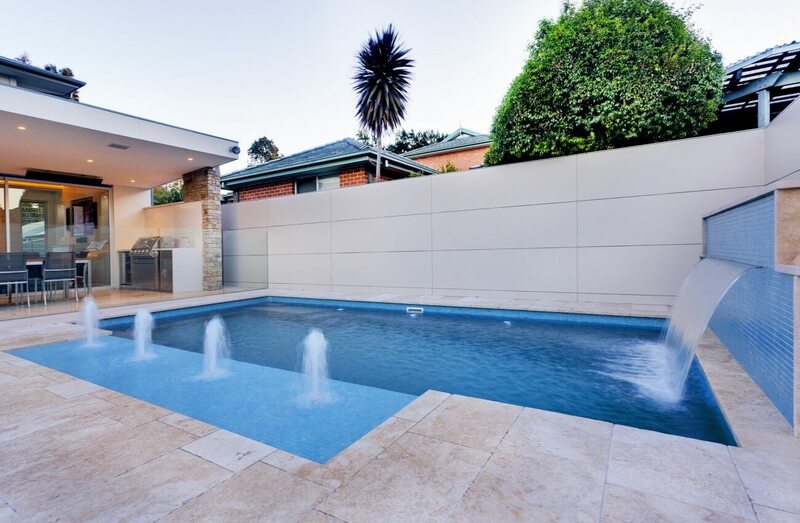 However did you know that effective pool landscaping can also boost the price of your home? 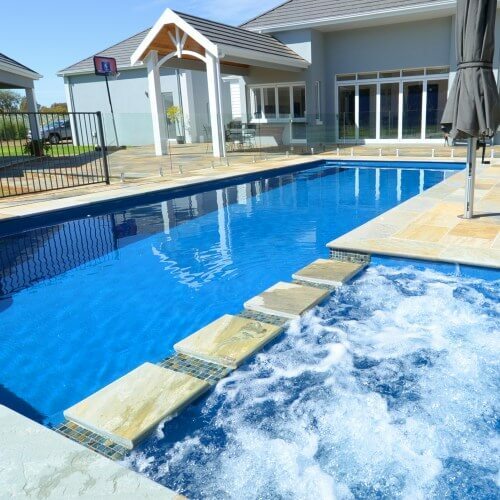 Many Australians now choose to install swim spas in their backyards. These flexible, convenient designs have a variety of benefits for the user – but are they always the most sensible and practical choice looking forward into the future? 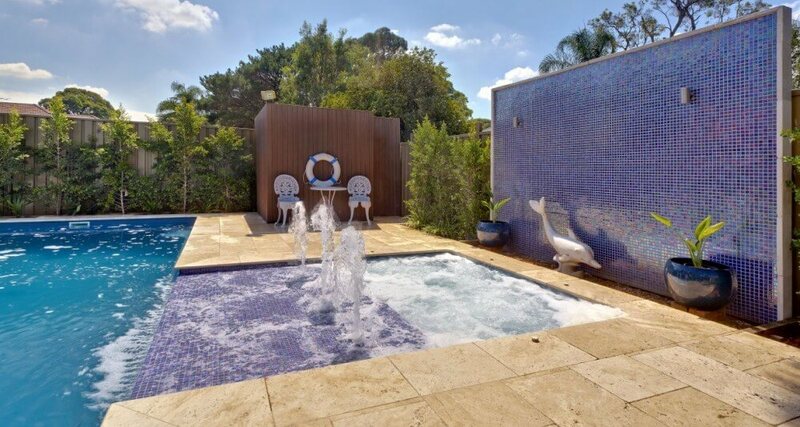 Here we take a look at the pros and cons of swim spas. 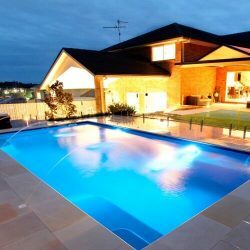 You’ve decided to take the plunge and go ahead with your dream of installing an in-ground pool for the enjoyment of all your family. 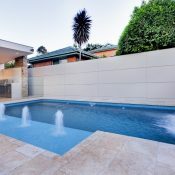 Now there are many decisions to make, firstly whether a concrete or fibreglass pool would best suit your requirements. 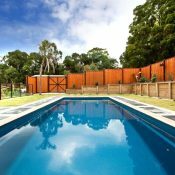 How long does it take to build a pool? 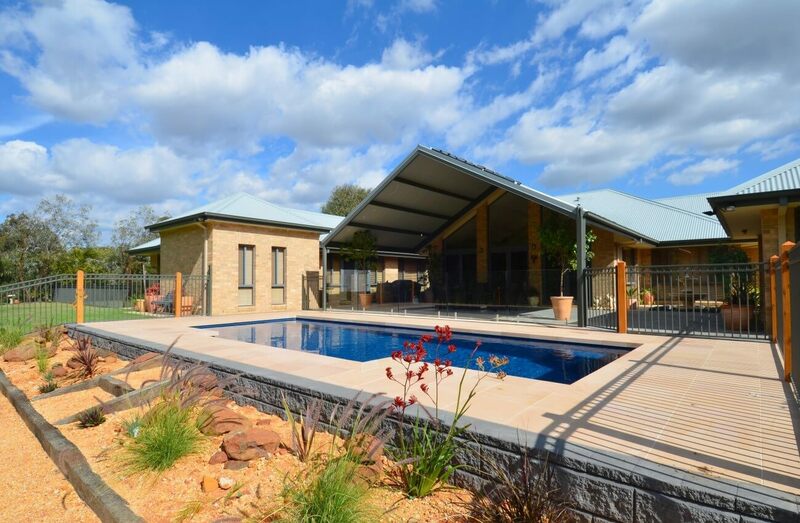 Here we take a look at the different factors to consider and the stages of the pool construction process, to give you an idea of what to expect when you decide it’s time to own a pool. 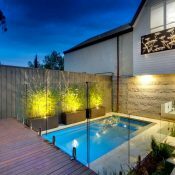 Before you decide to go ahead with your own swimming pool project, it’s important to think about how much a pool costs. So how much is a swimming pool? 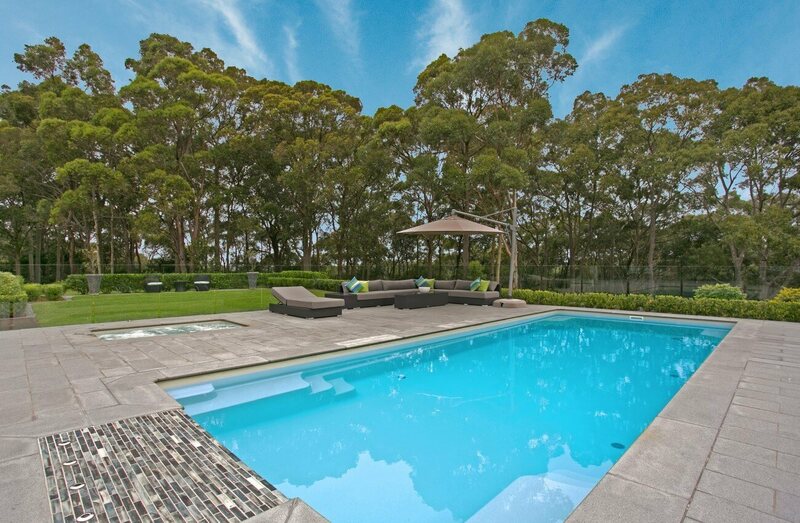 Here we take a look at the different factors to consider, so you can plan your pool budget. 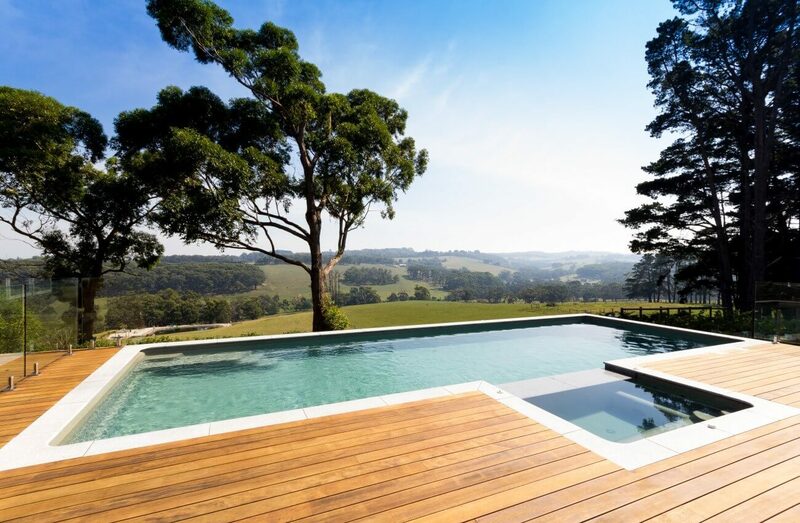 Often placed to stunning effect in holiday resorts and luxurious estates, infinity pools are designed to give the impression that it merges into the surrounding landscape. 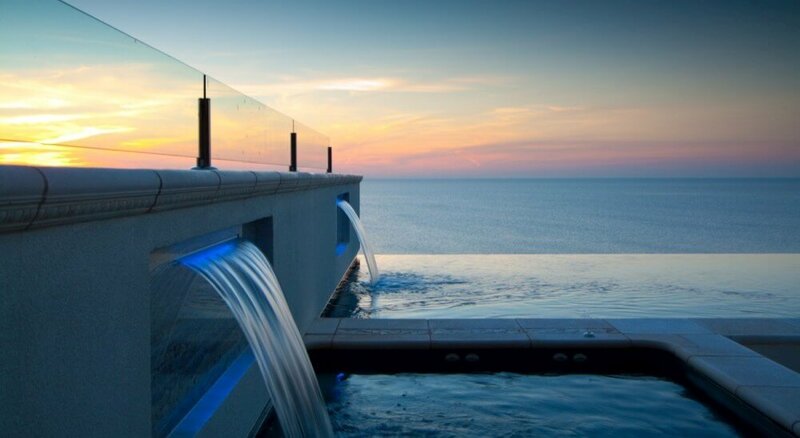 Sometimes, infinity pools are referred to as infinity edge, disappearing edge or negative edge pools. Excellent team and service. Couldn’t recommend a better team to do business with. Highly recommended. Great company and great people to do business with. Highly recommended. 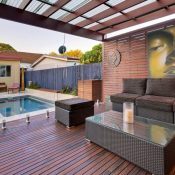 Let’s discuss your pool project with us. 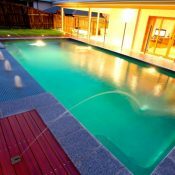 We are an authorised Compass Pools Australia pool builder. Please fill in these information to get in touch with us. We will do our best to reply to your enquiry ASAP.